A stunning new addition to our collection of modern and contemporary table lamps comes this stunning Sandringham Clear Glass Table Lamp. 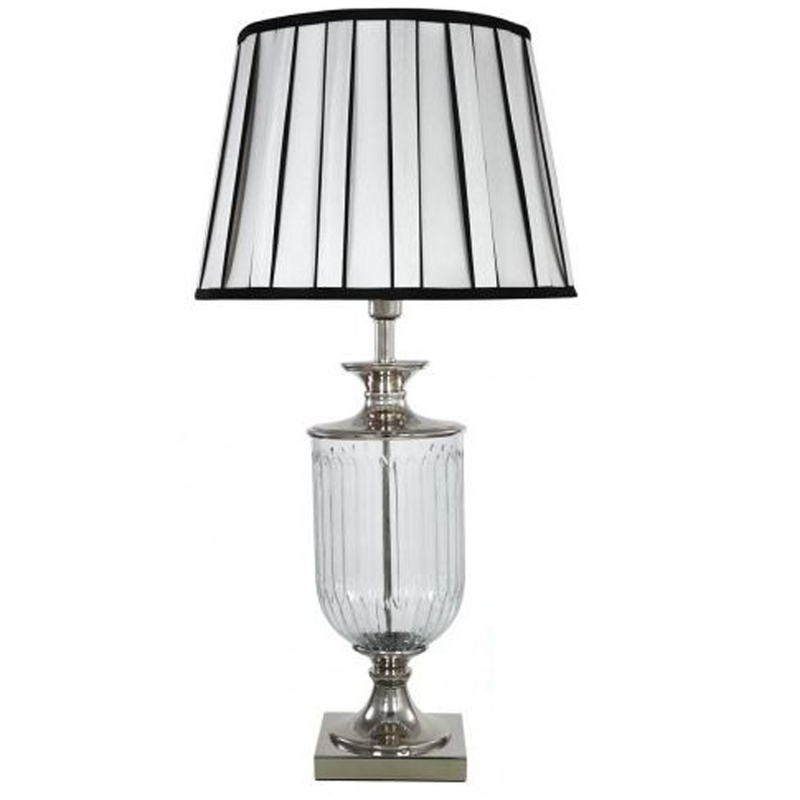 Its beautiful glass base has been made with the highest level of craftsmanship which has been complimented by a black and white pleated drum shade. This gorgeous table lamp will effortlessly spread light throughout your home while finishing the look you desire.